Doctor of Management Science of Beijing Jiaotong University, Post-doctoral of School of Business, Renmin University of China. The Main research direction interests include Knowledge Management, and Human Resource Management. Participation in the National Natural Science Found Projects, the Humanities and Social Science Fund Projects of Ministry of Education, the Excellent Course Projects of Ministry of education and Enterprises Research Projects, published many articles in International Conferences and Journals. Provided the Management Consulting Services for China Mobile, China Unicom, Beijing Electric Power, Chinese Construction Company and etc. 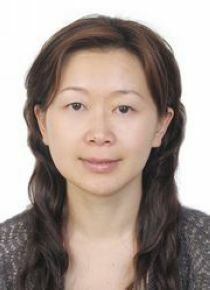 In 1998 after graduating from university taught 5 years in the university, later as a human resources management consultant for 5 years in the management consulting company, started teaching at the Beijing Institute of Technology in 2011. Lan Tian.Organizational Tacit Knowledge Sharing and Knowledge Management Performance Evaluation. Proceedings of the 2010 International Conference on Public Economics and Management. Participated in two projects of the National Natural Science Found , Including General Program (2008) and Outstanding Youth Science Fund Project (2010). Participated in a Major Project of Key Research Base of the Humanities and Social Science Fund Projects of Ministry of Education. In addition also had responsibility and involvement in the Construction of the Excellent Course Project of the Humanities and Social Science of Ministry of Education, and other Projects commissioned by the Local Governments and Enterprises.